LOOK WHAT CAME IN THE MAIL TODAY!!!!!! I know, I know, it may not seem like a big deal, but to me this is huge! Ever since I was 13 years old I’ve been traveling the world. All through high school I spent my summers going overseas on mission trips. I chose the college I attended based on their summer missions program. I married into a family of missionaries. Jed traveled to Europe serving with his dad. Jed and I have led several teen and adult teams on missions. We have a huge world map on our wall and people we love all over the world. We fancy ourselves the vagabond hippy type (with a mortgage and 4 kids in tow)….hmmm…..
Four years ago we visited my in-laws in Kosova and shortly after that our passports expired. That was devastating to me. Not just that it costs an arm and a leg to renew them (ugh), but that we didn’t have a great urgency or need to renew them right away. We knew God wanted us here where we are and we weren’t going anywhere soon. He called us to the foster babes of our city and our heart was here with them. He called us to a local church where we have grown, loved, and been loved. It was a fabulous time of loving babies and raising up our own, but it felt like a part of us- or a part of who we dreamed God had created us to be was put on hold- maybe for forever. I know I sound a bit melodramatic, but that’s how I get about my dreams. It’s the high school drama nerd in me. 🙂 We were willing to go and God had us here. What’s up with that??? Fast-forward to January when God starts to stir up a season of change in us, then we commit to the sweetie overseas, then that falls through- but God does not. He is leading us and guiding us in the manner He knows we will follow. He’s smart like that. We don’t know what the end result is, but we know we must obey or miss the adventure of a lifetime. So we’re going. We’re going overseas in April. Yep, that’s right! 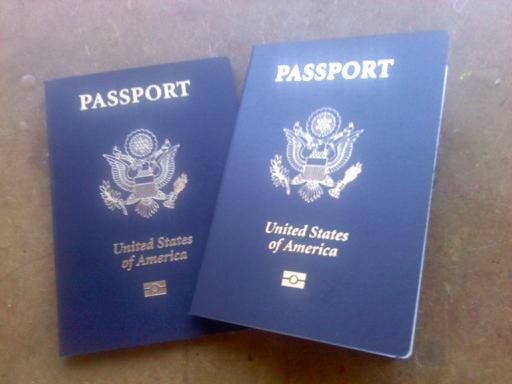 We’re headed to Eastern Europe to scope things out and see what the Father would have us do. We’re lining up contacts right now, people who are doing awesome orphan care and seeing if we can meet and chat. We don’t want to reinvent the wheel, we simply want to see what God is doing and what part He may want us to play. We’ve got some pretty big ideas and dreams and no idea if they could be reality, but God knows. Perhaps He’s leading us there to meet our next child? Perhaps He’s leading us there so we can come back and put fire under the feet of the believers here in our town? Perhaps He’s leading us there to help for good? We don’t know, but we’re excited to find out! If you would pray for us we’d sure appreciate it. Specifically we need to know who God wants us to meet with so we can set those things in motion. We’ve put lots of feelers out there, but want God’s ultimate plan to come to pass. That's so exciting Kim! I am so excited to keep following along on your journey and see where it will lead… Will keep praying! Thanks for the encouragement Andrea! It's pretty exciting and a little nerve-wracking. Thanks for praying!